Israel is known as a great destination for history fans and pilgrims. But what many people forget, is that Israel is also an amazing beach destination, with sun shining most of the year and everything a good beach spot can provide! 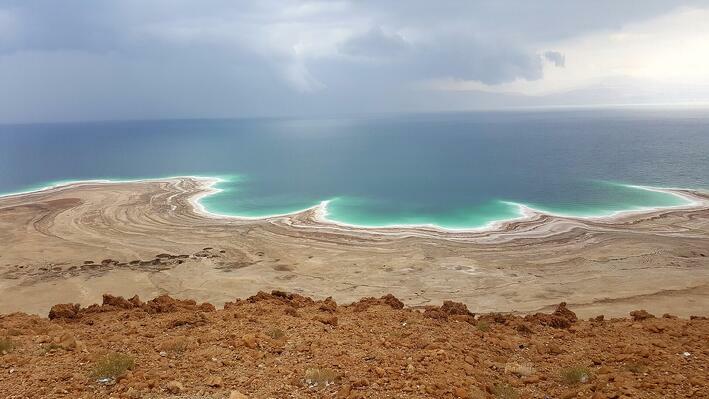 The country is framed by no less than three seas: the Red Sea, the Mediterranean Sea and the Dead Sea. So, no need to choose between a culture bath and an actual bath, you can do both on your Israel tours! The Red Sea reaches Israel through the Gulf of Aqaba. The city of Eilat, sitting right at the tip of the country, is a sunny holiday spot with several golden beaches, water sports all around, as well as internationally famous diving and snorkeling opportunities! Although Eilat might seem like a typical coastal, touristic, city, the mysterious side of Israel is never too far. From the city, you can easily explore the Negev Desert, on foot or by jeep, and try and find some of the archeological ruins hiding between dusty plateaus and towering cliffs. From Tel Aviv to Akko, there’s a lot to see on the Mediterranean coast that hugs Israel on almost the whole length of the country. Tel Aviv is one of those cities you can’t miss during your tour to Israel. It’s the beating heart of the country, full of art, life and beaches. The best is to take at least a full day to explore this vibrant city! Further along the coast, Caesarea is a favorite spot for most travelers. This ancient city was built by Herod the Great and was the Judean Capital during Roman times. Since then, the city has fallen to ruins. But, lucky for tourists, these ruins are still very representative of ancient life, in part thanks to the rebuilding efforts made recently. Still further north, the Dor-HaBonim Beach Nature Reserve is the perfect stop for some real beach time. This whole piece of rugged coastal beauty is ideal for observing marine life, walking along the trails or just sitting down and watching the sea. If you’re up for some adventure, it’s even possible to camp there and get even closer to the nature! Keep driving north to find Haifa, a big city waiting right on the coast. Beside exploring the streets and enjoying the ports on the blue, blue sea, the main interest in Haifa is the Bahai Shrine and Garden. Making it to Haifa is a unique opportunity to learn more about this little known religion. From the top of Mount Carmel, you’ll get an incredible view on Haifa, with the golden dome of the Bahai Shrine shining in the sun. Well worth the climb, don’t miss it! Akko (also known as Acre) is at the northern tip of Mediterranean Israel. Often forgotten by tourists, this city offers beautiful beaches but, most importantly, an important historical heritage. Among other things, it’s possible to see in Akko tunnels built by the Templars, fortifications dating back to several different eras, a citadel fronting the sea, … and much more! The Dead Sea is a compulsory stop on any tour to Israel. This unique body of water has the power of making you float like a cork, unable to sink or swim! This is due to the high salinity of the water and is completely unique in the world. Plus, the mud is so full of this mineral salt that it’s supposed to do wonders for your skin, so take your time on the shore of the Dead Sea and smear it on! There’s more to do near the Dead Sea than enjoying the sunshine and the uncommonly pure air (it’s the lowest point on earth, the air is weirdly easy to breath). First, the Judean Desert skirts the whole coast, drawing the traveler towards exploration and adventure. A particularly exotic spot is the Ein Gedi reserve, a lush oasis in the middle of the desert! Nearby, Masada and Qumran are two highly significant sites. Masada is an impressive ancient fortress built on top of a high mount. You can get to the summit by cable car. Not only are the ruins worth a visit, but the view from up there is also incredible, stretching into the desert all the way to the Dead Sea. Qumran, a very short drive away, is where the Dead Sea scrolls where found. The landscape, all dust and sand, is unique and unforgettable. 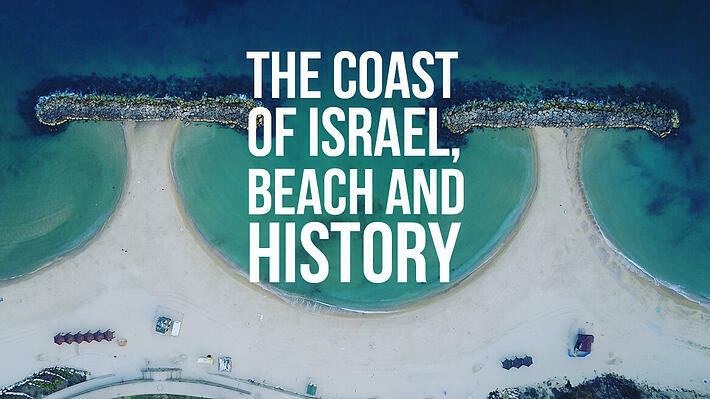 A lot of seas, a lot of beaches, a lot of history, … Israel has it all. Who said it wasn’t possible to come back home with both knowledge and a tan?